Key Pad Only Part Number RCT-00831-00000. Control Module with +12 VDC Outputs RCT-00773-00000. Control Module with Negative Outputs RCT-00773-00001. Requires Fifteen (15) Conductor Data Cable DAT-01350-00XX0. 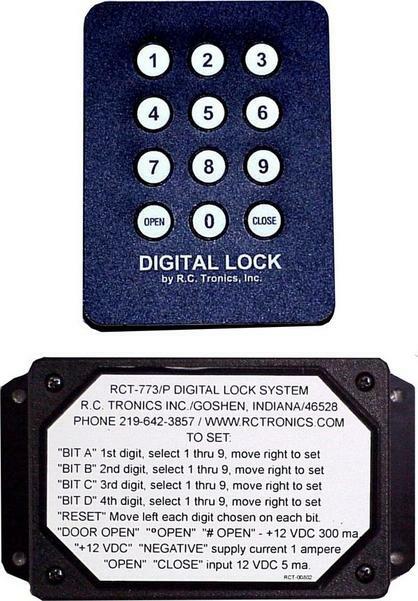 Document: RCT-00773-00000 Digital Electronic Lock.